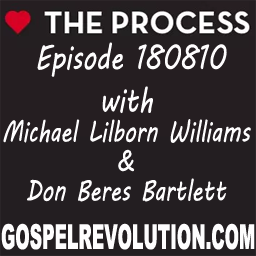 This week Mike and Don discuss the value of the CPR of the Gospel. Never forget what set you free, the bell that you couldn’t unring, the AHA moment that freed you from th BS of religion. Turn it into a lifelong process, because that is the only thing that keeps on keeping on. You can’t move forward when you dig in your heels. I like the statement that Jesus is the author and finisher of faith. Then Beres points out that there is no room or need for our faith. Excellent. I also like the statement that the light didn’t show up on earth until the 3rd day and how it is correlated with Jesus rising on the 3rd day.